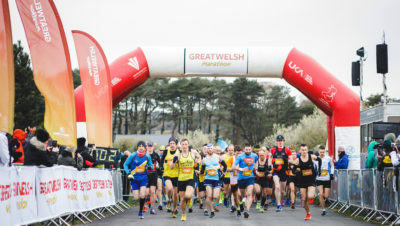 It was a big weekend for running in the UK and beyond, so we thought we’d bring you a round-up of some of the action. First up, there was the small matter of a 153 mile race in Greece. It’s pointing out the obvious to say that the Spartathlon is an exceedingly difficult run, but it’s made even more difficult by the strict time cut-offs, the 1200 metre mountain that has to be negotiated and, usually, the heat. However, this year the weather threw something of a curve ball for all those runners who’d been slogging it out in heat chambers in preparation for the high 30s. It turned out that they should probably have spent that time in a wind chamber because they actually ended up running in a ‘medicane’, a Mediterranean tropical-like cyclone! Wind and constant rain made it an even more difficult race than usual. As ever there was a big British team at Spartathlon and they had some great runs. 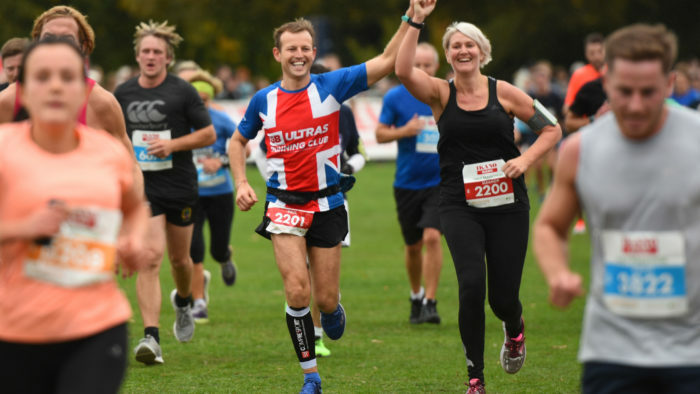 The first Brit home was Nathan Flear, in 13th place in 26.35, followed by Cat Simpson who finished as 5th woman in a fantastic time of 28.51. That time would have won the race some years, and the only British woman to ever run Spartathlon quicker is Lizzy Hawker. Huge congratulations to Cat and all of the British team, who braved some very testing conditions. The men’s race was won by Ishikawa Yoshihiko of Japan in 22.54 and the women’s by Maraz Zsuzsanna of Hungary in 27.04. Alastair Higgins of Ireland was 10th. Full information and results are here. It was the hugely popular Ealing Half Marathon this weekend too. 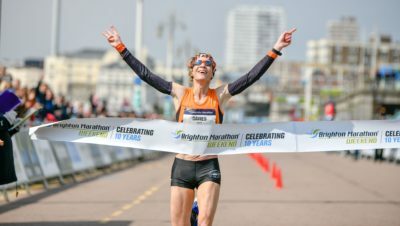 A favourite of club runners, including a large contingent of Ealing Eagles, runners raising money for charity including Alzheimer’s Society and Cancer Research UK, and even long-distance runner and two-time Olympian Mara Yamauchi was also in the crowd. This has become a much-loved community event. Ealing Half Marathon followed the hugely successful Ealing Mini Mile which saw 1,700 entries from young runners aged 6-16 who completed their own mile race in Lammas Park. 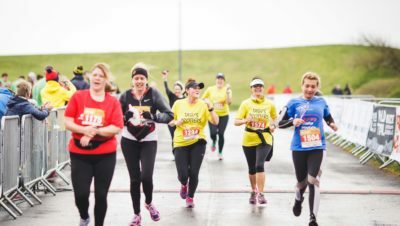 For the first time this year the event included a Family Mini Mile for children aged 5 and under, and it proved to be a fantastic precursor to half marathon race day. It was also the Ikano Bank Robin Hood Half Marathon at the weekend. 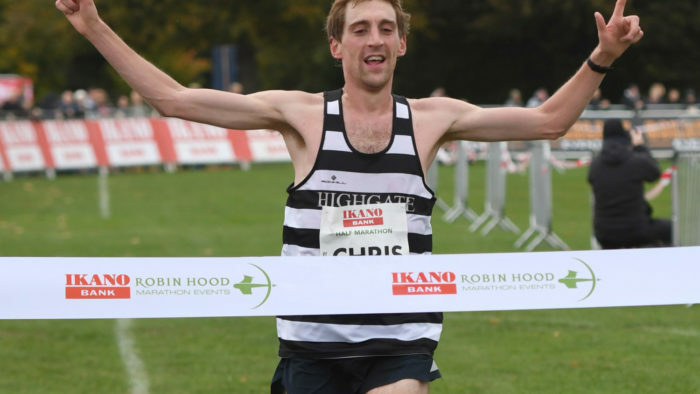 The men’s race was won by Chris Rainsford of Highgate Harriers in a time of 1:07:54. A first timer in the race, he set a new PB in the process. Comparative old hand at this race (running his 9th Nottingham Half), Alastair Watson, was second in 1.09.28 and Anthony Woodward was third in 1.11.22. Alastair and Anthony are both members of Notts AC. In the women’s race Katherine Wood from Sale Harriers took the win in 1.17.34, a PB for her too. 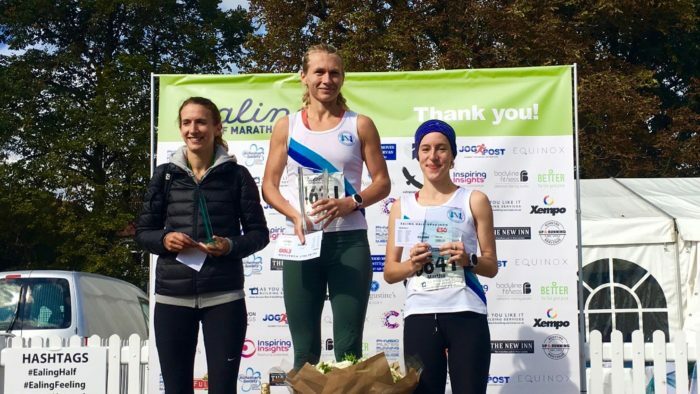 Rotherham Harriers athlete, Sophie Cowper, took second place in 1:18:46, followed by Charlotte Firth (1:23:37) from Windsor Slough Eton & Hounslow AC.